Well hello there Monday! I hope you had a great weekend? I arrived back home from my trip at midnight last night and am on the 6.48 train to the IKEA headquarters for a presentation (definitely a double coffee and matchsticks (to keep my eyes open!) kind of morning but I'm kind of excited too!). It was well worth it too as I had such an amazing time - more to follow later in the week. 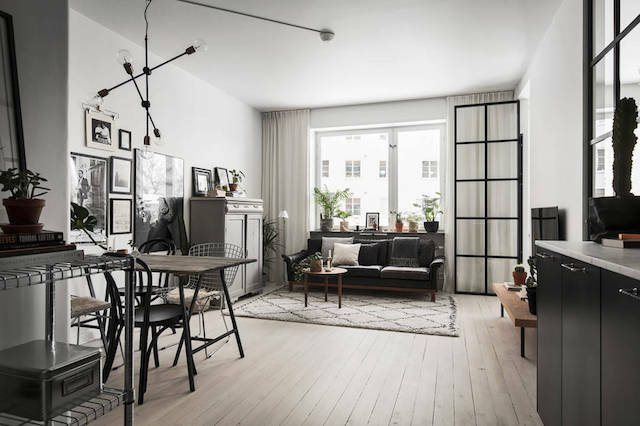 I thought I'd kick off the week with this charming apartment in Stockholm. 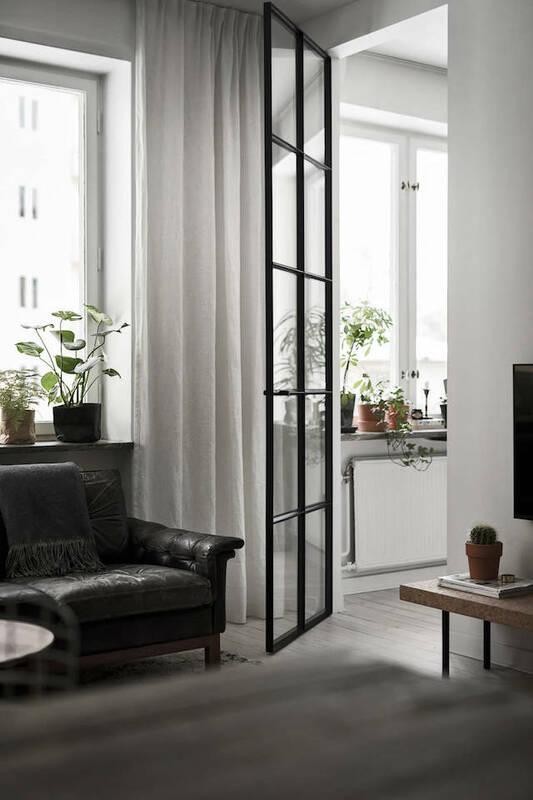 A relatively small 44 metres square (473 square feet), the lovely open plan space has been designed to slip through as much natural light as possible - including fabulous windows dividing the bedroom from the living room (I'd love some of these in my own home, how about you?). 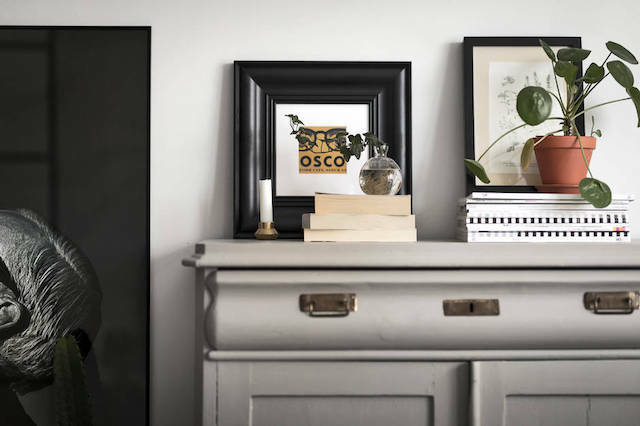 The palette has been kept distinctly monochrome and vintage pieces jostle for position with modern designs and interesting art for a lovely homely feel. Can I crawl back under those covers and spend the day here please?! 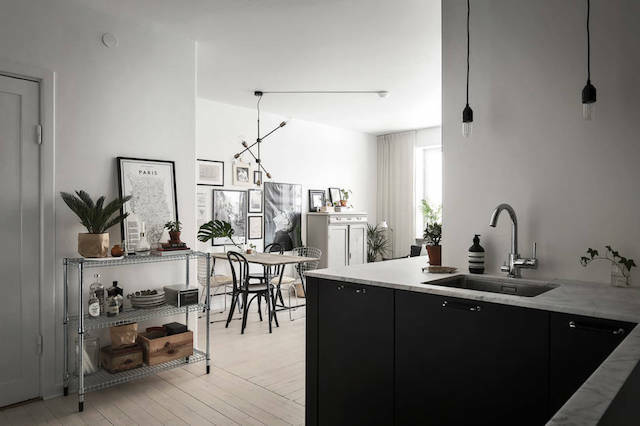 Credit: this apartment is for sale through Bo Sthlm. Lovely space! I find the shades of grey so calming, don't you? 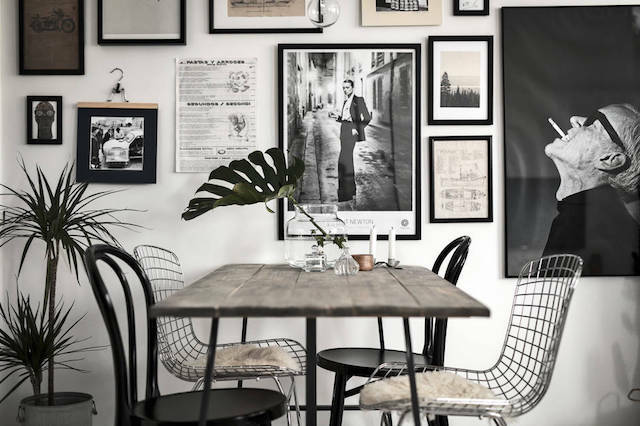 A few items I know and love: dining area - house doctor molecular light, Bertoia side chair, bent wood chair, white sheepskin chair cover. Kitchen - Aesop hand wash. 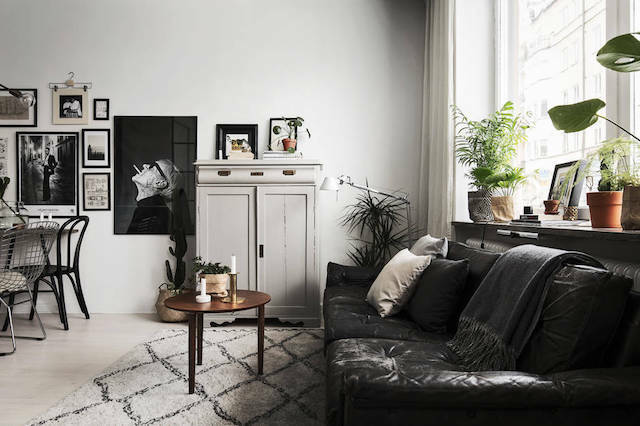 Sitting room - Beni Ourain rug, source a vintage black leather sofa here. Sinnerlig cork bench by Ilse Crawford for IKEA. 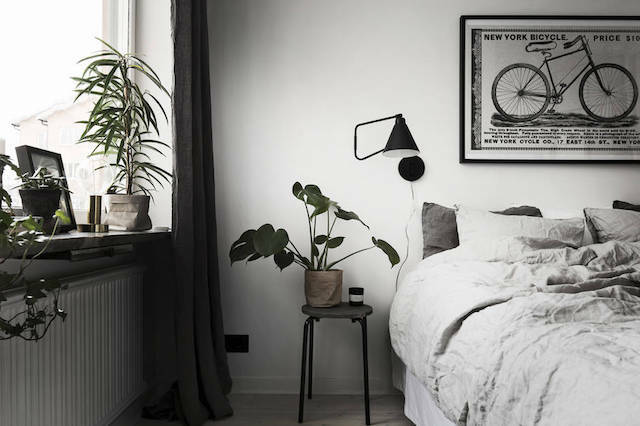 Bedroom - House Doctor wall light, light grey linen bed set. I've always wanted to live in a London mews house like this one. Want to be my neighbour?! Imagine the street parties we'd have?! 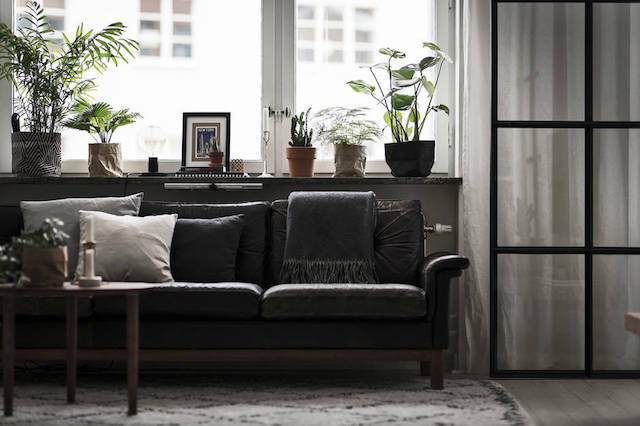 8 fab IKEA hacks by interior stylists. These kids rooms feature the most lovely wallpapers - and I love the mobile in this bedroom too (available here) - feeling inspired for to change my daughter's room! And finally - how graceful is this canoe scene? TGIM (thank goodness it's monday)! I was longing for your morning post, which helps start the day. Love it! 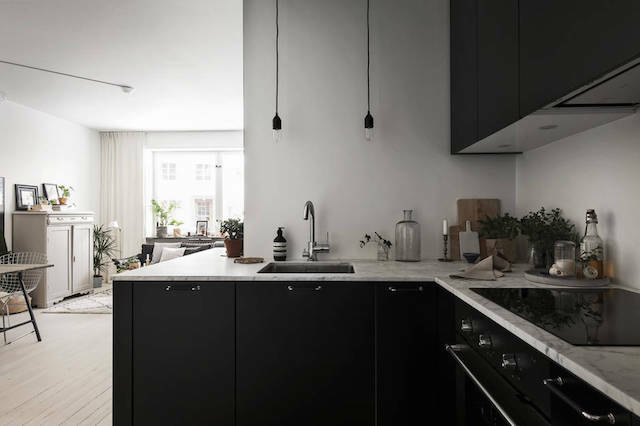 I'm thinking of sticking to a neutral palette for my home (a flat about the same size), but the closeness of the next apartment makes rooms dark here. Outside of the front room, which is full South. Any suggestions to achieve this on ground floor without looking sterile or gloomy? 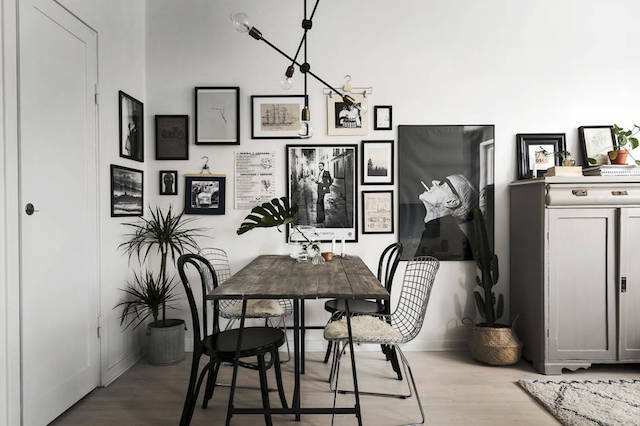 It's a very nice apartment and I love the black and white photographs. But, as a non-smoker, I could never live with images of smokers, it's too off-putting (I see two here). Of course I would love to live next door to that house in London - they have a greyhound? Our greyhounds could have sleep over parties! You have a greyhound? Such beautiful dogs! How fun, already looking forward to the street parties and dog sleep overs (assuming I'd get the greyhound with the house, right?!). I have always had greyhounds, most of the time two or three at a time. They are very addictive.